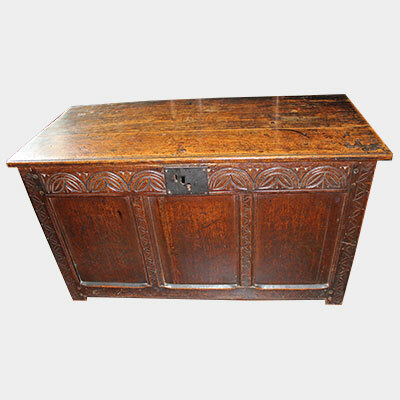 18th century oak coffer with carved panelled. 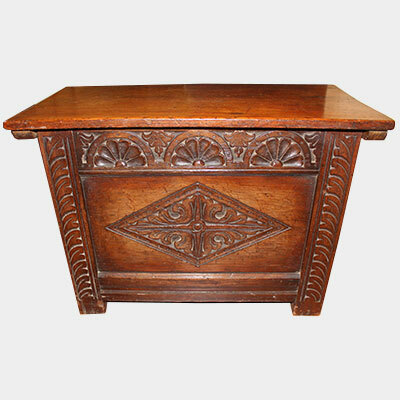 Small oak coffer with diamond carved panelled front. 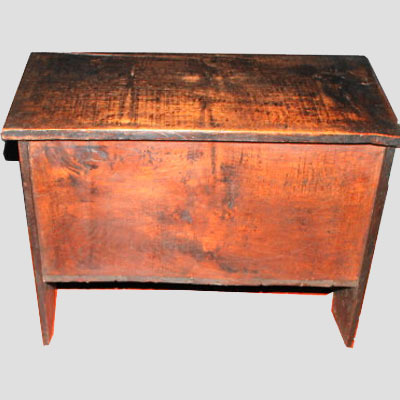 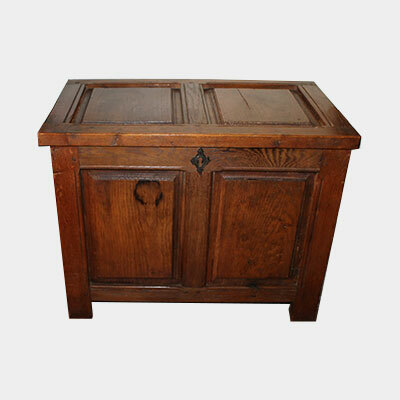 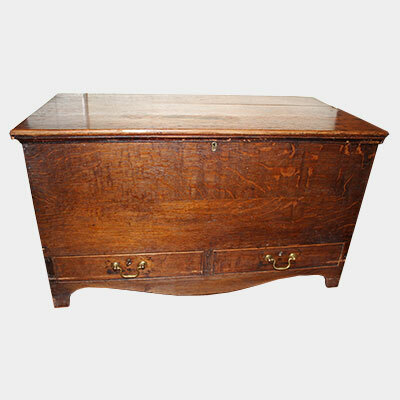 18th century small oak mule chest. 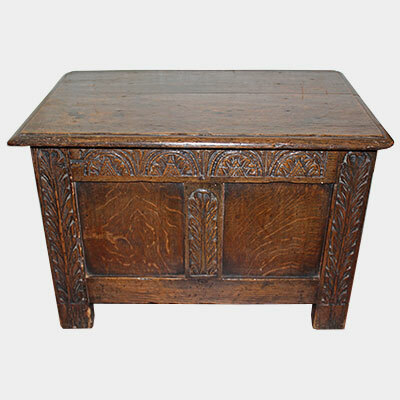 Small antique oak carved and panelled coffer. 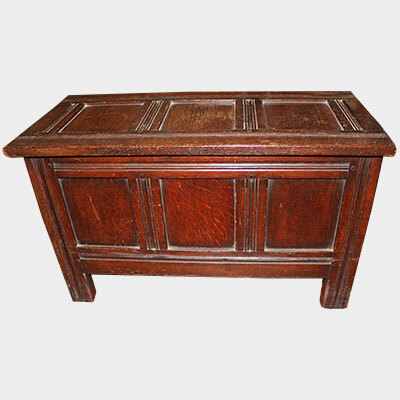 A simple small oak plank coffer, useful as a coffee table, with a lift lid for storage.